Short Bottle Bearing Concentric Circles. 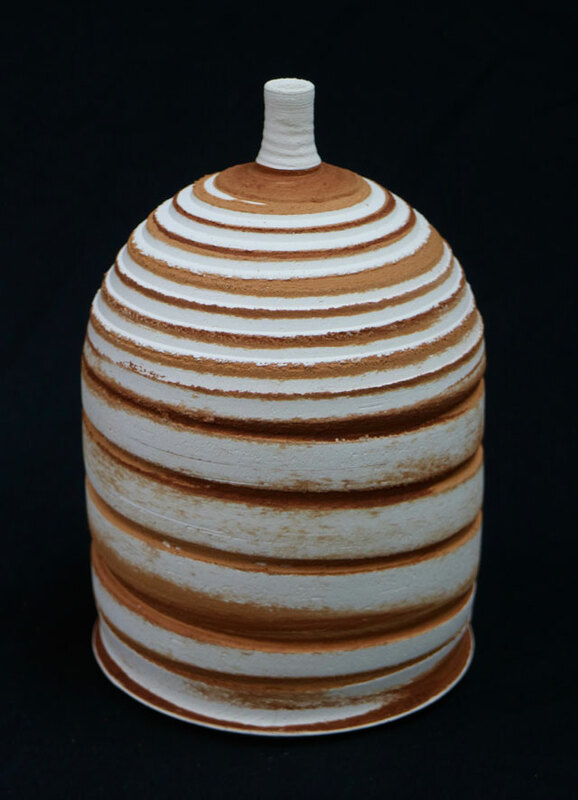 Cone 1 thrown prospected white earthenware & brushed earthenware slips. 7.5"H x 5"W x 5"D.